Get ready for a man-made fireball. 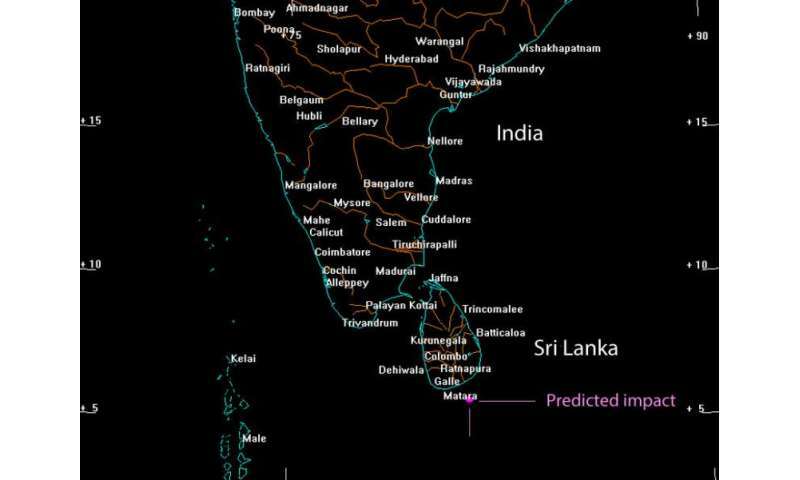 A object discovered by the Catalina Sky Survey on Oct 3rd temporarily designated WT1190F is predicted to impact the Earth about 60 miles (100 km) of the southern coast of Sri Lanka around 6:20 Universal Time (12:20 a.m CST) on November 13. The objects orbits Earth with a period of about three weeks. Because it was also observed twice in 2013 by the same survey team, astronomers have the data they need to model its orbit and trajectory, and as far anyone can tell, it's likely man-made. Solar radiation pressure, the physical "push" exerted by photons of sunlight, is proportional to a space object's area-to-mass ratio. Small, lightweight objects get pushed around more easily than heavier, denser ones. Taking that factor into account in examining WT1190F's motion over two years, the survey team has indirectly measured WT1190F's density at about 10% that of water. This is too low to be a typical asteroid made of rock, but a good fit with a hollow shell, possibly the upper stage of a rocket. It's also quite small, at most only about six feet or a couple of meters in diameter. Most or all of it is likely to burn up upon re-entry, creating a spectacular show for anyone near the scene. During the next week and a half, the European Space Agency's NEO (Near-Earth Object) Coordination Center is organizing observing campaigns to collect as much data as possible on the object, according to a posting on their website. The agency has two goals: to better understand satellite re-entries from high orbits and to use the opportunity to test our readiness for a possible future event involving a real asteroid. The latter happened once before when 2008 TC3 (a real asteroid) was spotted on October 6, 2008 and predicted to strike Earth the very next day. Incredibly, it did and peppered the Sudan with meteorites that were later recovered. 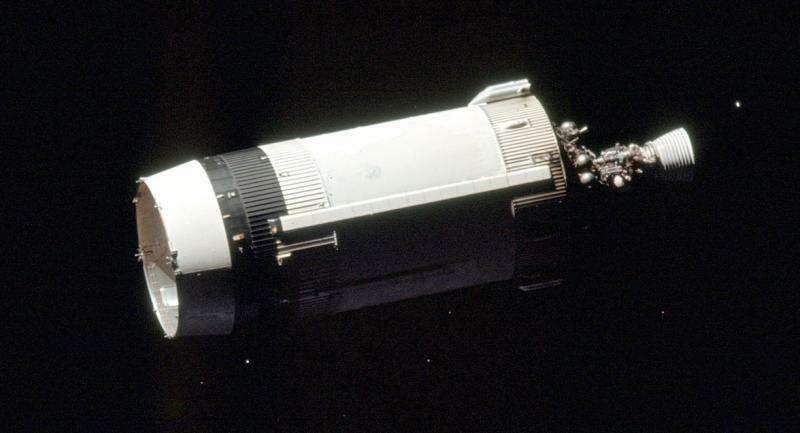 Apollo 13's booster was the first deliberately crashed into the Moon, where it blew out it a crisp, 98-foot-wide (30-meter) crater. Why do such a crazy thing? What better way to test the seismometers left by the Apollo 12 crew? All subsequent boosters ended their lives similarly in the name of seismography. Third stages from earlier missions—Apollos 8, 10 and 11— entered orbit around the Sun, while Apollo 12, which orbiting Earth, briefly masqueraded as asteroid J002E3. Bill Gray at Project Pluto has a page up about the November 13 impact of WT1190F with more information. 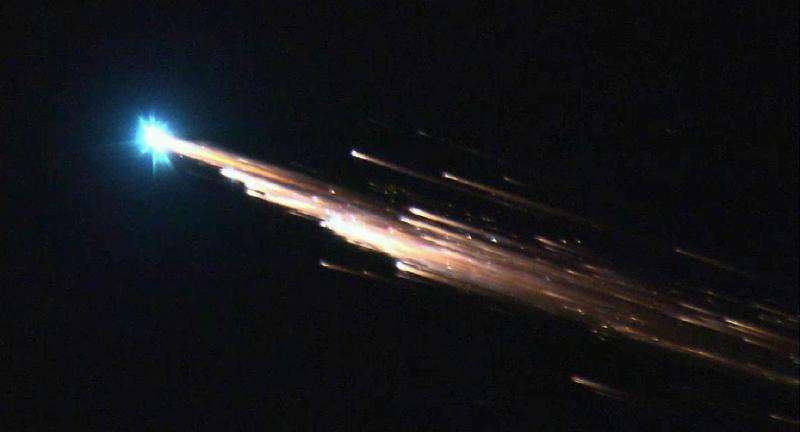 Satellite and asteroid watchers are hoping to track the object before and right up until it burns up in the atmosphere. Currently, it's extremely faint and moving eastward in Orion. You can click here for an ephemeris giving its position at the JPL Horizons site. How exciting if we could see whatever's coming down before its demise on Friday the 13th! Near-Earth object J002E3 discovery images taken by Bill Yeung on September 3, 2002. 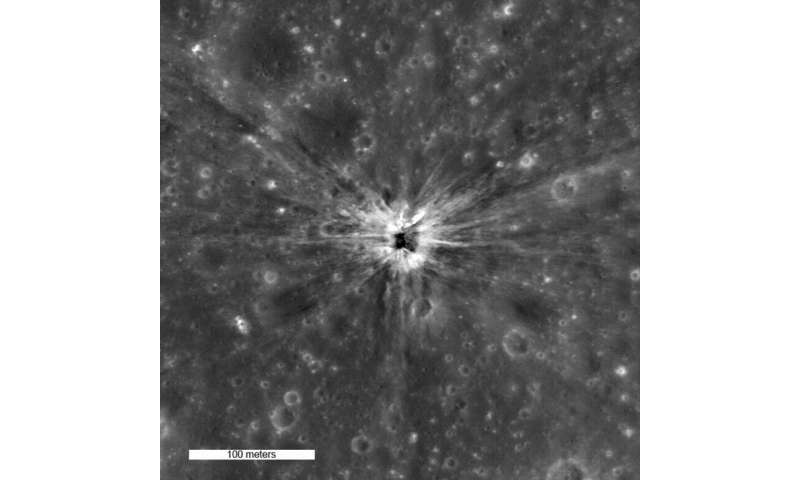 The 16th magnitude object was tentatively identified as the Apollo 12 third stage rocket. Credit: Bob Denny.